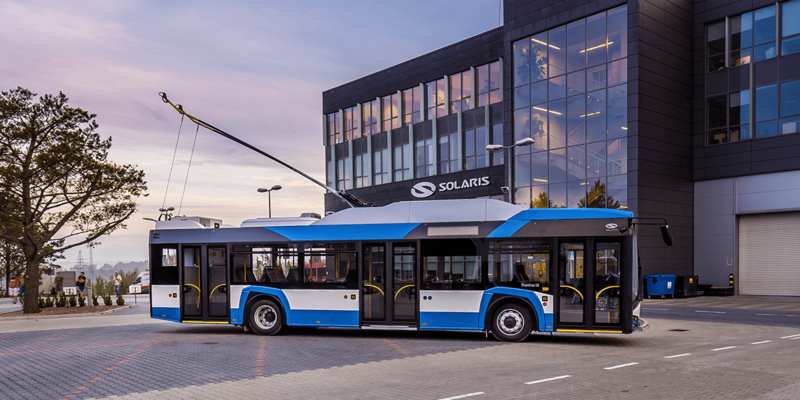 As far as the schedule is concerned, Solaris will deliver five of the twelve-metre electric buses of type Trollino 12 this year and next year. The remaining electric vehicles are scheduled for delivery in 2022. The trolleybuses for Saint-Étienne are equipped with a drive system from Škoda and additional batteries with a capacity of more than 40 kWh to be able to pass through routes in phases without the overhead wire. The French also ordered air conditioning, monitoring, a specially protected driver’s cab and an innovative lighting system as individual equipment features. 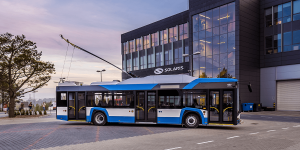 In principle, the Saint-Étienne fleet is already in the new design version, which will be mandatory for all Solaris’ electric vehicles from January 2019. Solaris presented the updated version of its Urbino and Trollino family in Prague last November.